* Texas has the first domed stadium in the country,The Astrodome. The structure was built in Houston and opened in April 1965. * El Paso is closer to Needles, California than it is to Dallas. * The state’s cattle population is estimated to be near 16 million! * The worst natural disaster in United States history was caused by a hurricane that hit Galveston in 1900. Over 8000 deaths were recorded. 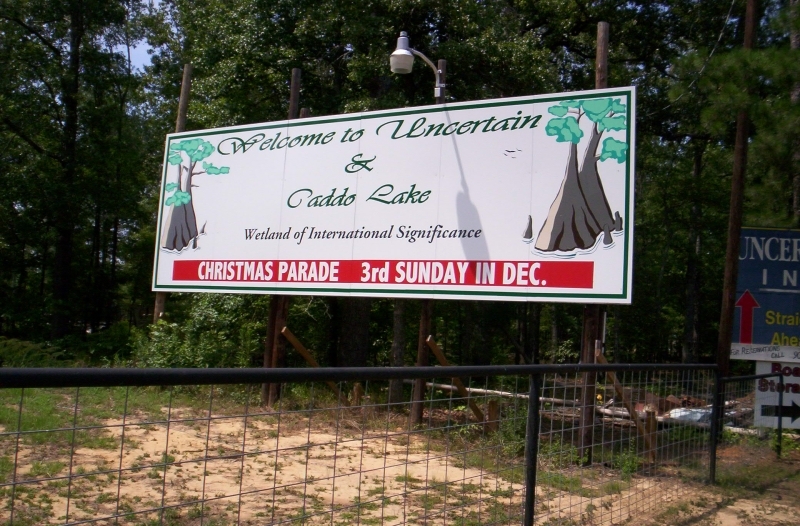 * Caddo Lake is the only natural lake in the state! Six national flags have flown over Texas since the first European exploration of the region by Cortez in 1519. Can you name them? On joining the union, Texas became the 28th star on the U.S. flag. Shrugging aside defeat and bitter reconstruction after the Civil War, the offspring of Texas pioneers marshaled their strengths to secure a future based on determined self-reliance. First was the fabled Texas Longhorn, providing beef for a burgeoning nation. Newly turned topsoil on vast farm acreage yielded bountiful crops. The 20th Century dawned with the discovery of fabulous sources--gushers roaring in at a place called Spindletop near Beaumont. By mid-century, modern Texas industries were sprouting in a fertile climate of advanced technology. Today under the magnificent "Star Spangled Banner.